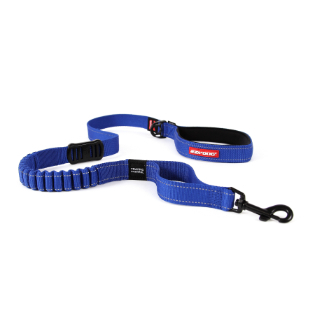 Cleverly crafted to be both durable and comfortable, the Double Up dog collar adds extra security for dog walking while "doubling" as a perfect solution for escape artists. The EzyDog Double Up Collar offers superior strength and comfort, and can also be used effectively as a dog training collar in conjunction with a harness and/or a leash. EzyDog has effectively found a way to double up on strength while still offering an attractive and durable collar with this double d-ring collar. Whether you need some small dog collars or large dog collars, the double D-ring collar is still an excellent choice for you and your dog! Take your dog with you on vacation with this high quality collar which reduces the risk of him losing his collar or breaking it off. Dogs are incredibly tough on their collars, and it takes good engineering to make a sturdy double up collar. 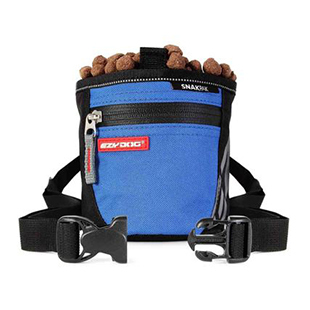 Not only was durability in mind when EzyDog created this, but also your dog's comfort was in mind. Dog collars may be worn for hours at a time by your pooch, so it's important to have a collar comfortable enough that your dog won't even notice he's wearing it. I love this collar. My female Rhodesian Ridgeback needed a new collar. I have also purchased the harnesses for both of my dogs. So of course I came back to EZ Dog to find the collar. I wanted girl colors which I found. I really like the double up rings. Since she is very strong I need a collar that is durable. I would recommend this to every dog owner especially those that own larger breed dogs. This camo collar is of excellent quality and we love the reflective stitching! This is our third collar for multiple dogs. EzyDog got it right and at a great price point. We have purchased multiple harness & collars and will continue to recommend them. Excellent customer service also! We purchased the candy colored double up collar for our Weimaraner. It was such a high quality and the pink let everyone know she was our baby girl. She is so strong, we also got the matching harness and zero shock leash. A few weeks ago, we got a miniature dashaund. We love the collar so much we got a matching one for the new puppy. Great collar. My rottie looks so handsome. Great service. Collar arrived in a couple of days. Will purchase more ! Liked the idea of the leash immediately. Solid construction. Would order again for a smaller dog. My only drawbacks were the color of the orange is pretty ugly and I wish the medium was one inch wide. A pretty big dog can fit in an 18.5 inch collar. Not sure if .75 inch is suitable at that point. Would like not to have the need to by another collar when my pup is full grown. I was looking for a good collar for training my shiba puppy. I considered a martingale, but wanted to give this a go first. I've been using it for about a month - it is awesome! Comfortably loose, yet super strong when my little guy tries to pull. Unlike other buckle collars, I know he's not going to slip out if this one, and the tag clip is seriously great! Just recently got a puppy,so in the process of finding the right colar for my AmStaff; I've purchased four different collars needless to say the buck stops with Ezydog. The structure of their collar is sound(double-up),The double d-rings makes for much needed extra support/strengh.Also, this is the first out of the four previously bought collars with a place to hang a dog tag!Thumbs up to Ezydog,regardless of the breed, they make the perfect collar. looks great, works great i get a lot of people asking about it. also ezy dog is a great company to work with.